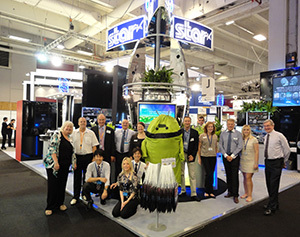 AlfaRichi was demonstrating Android Point of Sale software at Equipmag 2012 (11 — 13 September, Paris Expo) with partner company STAR Micronics (an international POS printer manufacturer). There was a lot of interest in our Tablet POS solution which is both compact and elegant. AlfaRichi will also be present at the Rapid Resto Show in Paris from 19-20 September with partner company Alfa Dimag. For more information please download pdf brochure. Also to you can read about our software in French.